Time to catch up on what you've missed (or forgotten). 25 April is finally upon us. Tomorrow, our favourite Marvel superheroes will to go toe-to-toe to with their most fearsome enemy yet – the incredibly powerful and sadistic Thanos in Avengers: Infinity War. Avengers: Infinity War will consolidate the Marvel Cinematic Universe (MCU) that has been established over the course of three phases, ten years, and 18 movies. Unless you’ve been following everything religiously, it might be already too late or too much of a hassle to start educating (or re-educating) yourself about the franchise. Phase One introduced the main universe in which the MCU is set, and core characters like Iron Man, Captain America, Hulk, and Thor, as well as important supporting characters like Black Widow, Hawkeye and Nick Fury, the director of the peace-keeping organisation known as S.H.I.E.L.D. 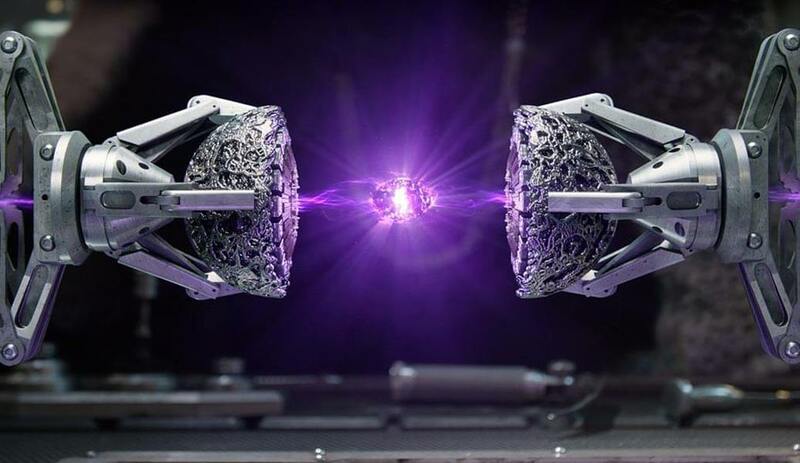 Although these movies take place largely independent from each other, they are loosely connected by the Tesseract, a powerful artifact that is later revealed to be one of the Infinity Stones. In the final entry of Phase One, they are finally united by Nick Fury to form the Avengers to stop an alien invasion triggered by Loki (Thor’s half-brother) using the Tesseract. Did you know: The MCU has its very own news channel anchored by Christine Everhart, a reporter who first appeared in Iron Man. The next set of movies delved deeper into the origins of the Infinity Stones and focused on the Avengers' post-Avengers exploits, including the fall of S.H.I.E.L.D at the hands of a brainwashed Bucky Barnes (Cap’s old friend) and the terrorist organisation HYDRA. By the end of Phase 2, the Avengers are joined by several powerful allies such as Falcon, Scarlet Witch, Vision, and Ant-Man, but cracks within the group had begun to fester. The MCU also expanded into the cosmos with the introduction of a ragtag spacefaring team of heroes known as the Guardians of the Galaxy, consisting of Star-Lord, Gamora, Drax, Rocket Raccoon, Groot, and Mantis. Did you know: In every Phase Two movie, at least one character gets their hand chopped off in homage to Star Wars: The Empire Strikes Back. The Avengers grow increasingly fragmented in Captain America: Civil War, resulting in two camps – one led by Captain America and the other by Iron Man, with the latter consisting of the new supers Black Panther and Spider-Man. We also become acquainted with Doctor Strange as he opened up a world of magic and alternate dimensions, and Valkyrie, an Asgardian who joined Thor in his solo adventure away in space. With the arrival of Avengers: Infinity War, as well as the upcoming Avengers 4 set to be released next year, Phase Three will draw the decade-long saga to a climatic end to before the start of Phase Four. Exciting! Did you know: An Inhumans movie was originally planned for Phase Three, but was cancelled and turned into a TV series instead. Thanos belonged to a race of powerful beings that evolved on a planet called Titan. After the destruction of his home-world due to a mass extinction event, he became one of the galaxy’s most feared warlords and earned himself the “Mad Titan” moniker. With command of a deadly alien army race known as the Chitauri, he travelled the cosmos, massacred entire civilisations, and usually took in “children” he could train to do his bidding - two of whom are Gamora, now a Guardian of the Galaxy, and the blue-skinned assassin Nebula. 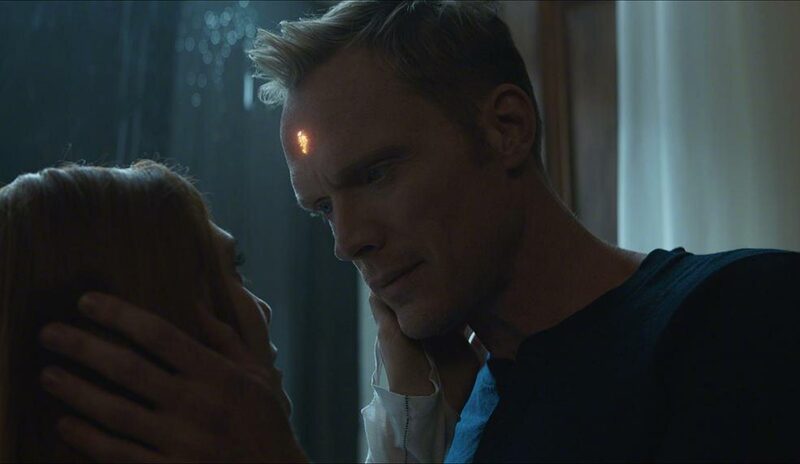 As explained by Gamora, Thanos only ever had one goal, which was to “wipe out half of the universe”. But to do so, he would first have to collect all of the Infinity Stones. His desire to achieve this goal is what led him to forge deals with some of the MCU’s key villains such as Loki and Ronan. However, these alliances have proved to be complete failures. With his patience worn thin, Thanos opted to seek out the Infinity Stones himself. Did you know: The Black Order, a team comprised of Thanos’ other adoptive children Corvus Glaive, Ebony Maw, Proxima Midnight, and Cull Obsidian, will function as generals for his army in Avengers: Infinity War. The Infinity Stones are six coloured gems imbued with the greatest powers in the universe. When wielded individually, each stone would grant its user godlike powers. However, when harnessed collectively, they would grant its user infinite powers, hence the name. Appearing as The Orb in the first Guardians of the Galaxy, the Power Stone was thought to be lost forever before it was found by Star-Lord. Upon learning that the Power Stone was contained in The Orb, Thanos employed the militaristic Kree warrior Ronan the Accuser to bring it to him. However, in his quest for revenge, Ronan claimed the Power Stone for himself after retrieving it from the Guardians of the Galaxy and tried to use its power to destroy Xandar, the home-world of the intergalactic police force known as the Nova Corps. Before he could destroy Xandar, Ronan was overpowered and killed by the Guardians of the Galaxy, and the Power Stone was left in Xandar for safekeeping. The Space Stone was contained in a cube-shaped vessel known as the Tesseract, which first appeared in Captain America: The First Avenger. 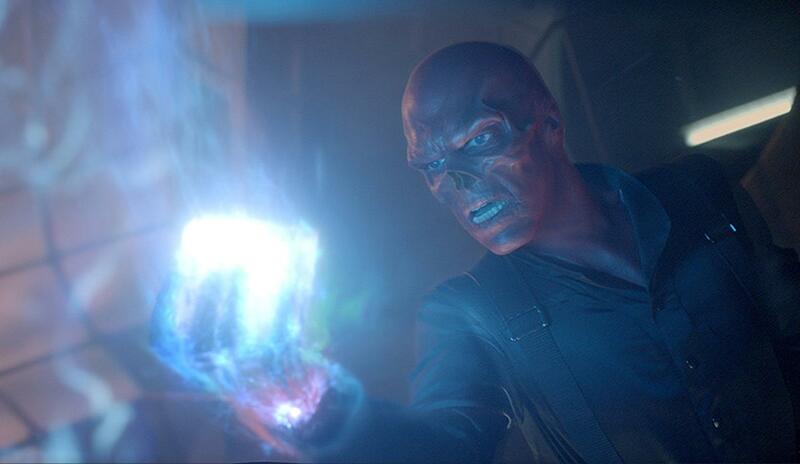 The Tesseract was discovered during WWII by Red Skull, the commander of HYDRA. During the climatic confrontation with Captain America, the Tesseract fell into the Arctic Ocean, but was later recovered by Howard Stark, Tony Stark’s father, and placed in the custody of S.H.I.E.L.D. Following his defeat in Thor, Loki promised Thanos the Tesseract in exchange for his help to conquer Earth, which he managed to steal from S.H.I.E.L.D. Needless to say, the invasion was thwarted by the Avengers, and the Tesseract was brought to Asgard and stored in Odin’s Vault, where it remained under the protection of Heimdall, the all-seeing, all-hearing Asgardian. Shortly before the destruction of Asgard in Thor: Ragnarok, Loki managed to swipe the Tesseract from Odin’s Vault. The Reality Stone, also known as the Aether, would only appear during the cosmic event known as the Convergence. 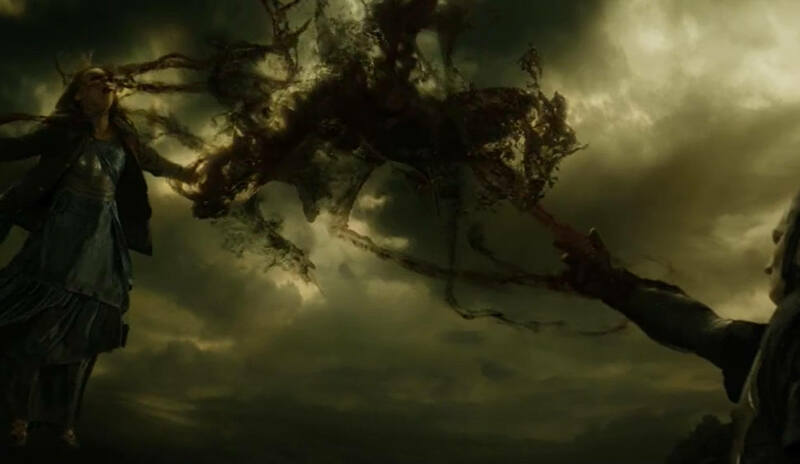 In Thor: The Dark World, the Aether was accidentally released by Jane Foster, Thor’s love interest, who also became the host to its energy. Coveted by the Dark Elf Malekith, he managed to draw the Aether from Foster and into himself. Before Malekith could use it to unleash eternal darkness, he was defeated by Thor and the Aether was contained and placed in a museum owned by the Collector, a trinket keeper on the planet Knowhere. The Time Stone is contained within the Eye of Agamotto, a powerful relic stored in Kamar-Taj, the home and training grounds to the Masters of the Mystic Arts. First discovered by Stephen Strange in Doctor Strange during his training with the Ancient One, he used the Eye to manipulate time to stop the villains Kaecilius and Dormammu, ruler of a hostile universe known as the Dark Dimension, from unleashing hell on Earth. With Kaecilius and Dormammu gone, Doctor Strange returned the eye to its place in Kamar-Taj, feeling he was not ready to wield it yet. 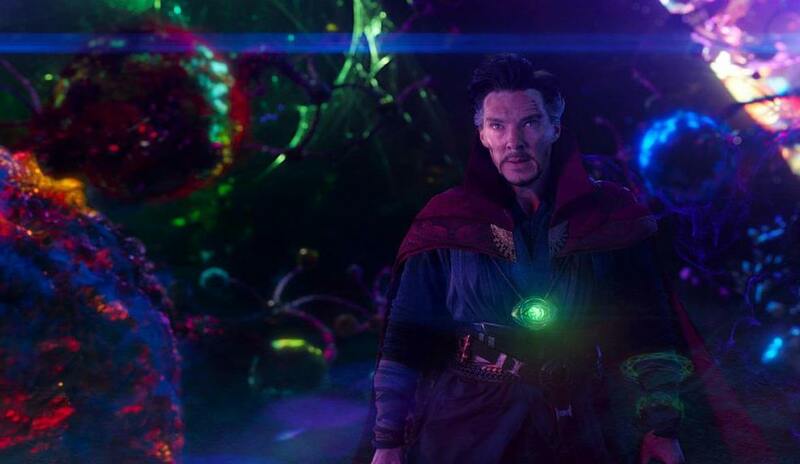 The Mind Stone was originally portrayed as a containment vessel and a power source for Thanos’ scepter, which was given to Loki during The Avengers. After his defeat, the scepter was safeguarded by S.H.I.E.L.D., but was stolen by HYDRA and used to give siblings Quicksilver and Scarlet Witch their extraordinary powers. In Avengers: Age of Ultron, the Avengers retrieved the scepter from the HYDRA facility and later used by Tony Stark to finish the Ultron Program, an AI global peace-keeping program. However, the AI became unexpectedly sentient and transformed into the evil android Ultron. Before Ultron could use the Mind Stone’s power to transfer his consciousness into a perfected synthetic body, the Avengers intercepted the body and uploaded J.A.R.V.I.S., Tony’s personal AI system, into it. Granted life with the Mind Stone embedded in his skull, the newly anointed Vision was formally recruited into the Avengers. Heimdall: Heimdall has the power to see and hear all the souls in the Nine Realms, a group of cosmically interconnected planets including Earth. For a long time now, many have suspected that Heimdall is in possession of the Soul Stone because of the nature of his abilities and his orange eyes. Wakanda: Many believe that the Soul Stone could have descended into Black Panther’s kingdom of Wakanda as part of the meteor that crash-landed millennia ago. The fact that Vibranium, a nearly indestructible metal, and the special Heart-Shaped Herb, a plant that allows Wakandans to communicate with the souls of their ancestors, are both native to Wakanda only adds more weight to this theory. Captain Marvel: Although Carol Danvers aka Captain Marvel has yet to make her appearance in the MCU, many believe that she’s actually trapped inside the Soul Stone. That would explain where she’s been since the 1990s, the era where her 2019 solo movie will supposedly take place in. Last but not least: WHO WILL LIVE, WHO WILL DIE? There has been a ton of speculation leading up to Avengers: Infinity War, and if you’re a diehard fan, this is the part where you close your eyes. 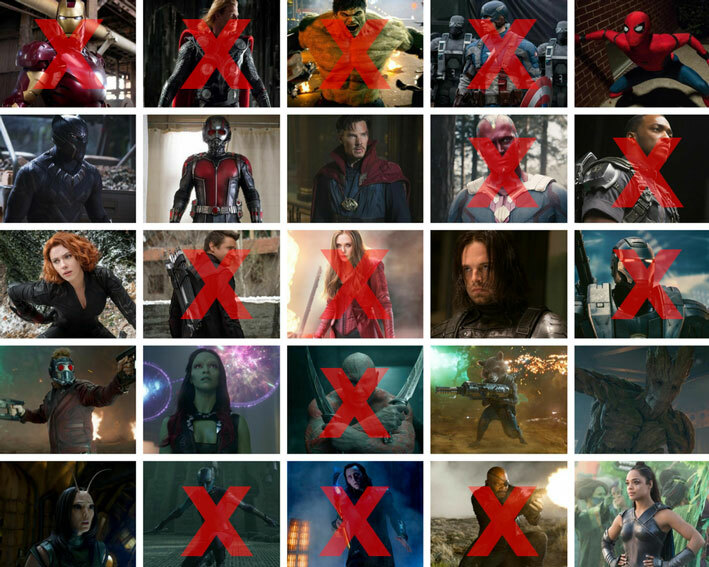 For a while now, Marvel head Kevin Feige has made known that we can expect plenty of deaths. Some little sleuthing reveals that the multi-film contracts of several household stars are more or less reaching its cessation. This article was originally published on Popcorn Malaysia. 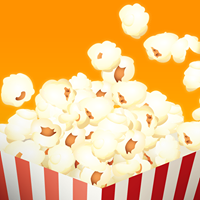 Popcorn is the only movie app you ever need. Get the app to browse movies, watch trailers, read reviews, check showtimes, and buy movie tickets for all major cinemas in Malaysia! BUCKY HAS A NEW ARM. Malaysia's favourite movie app with more than 1 million downloads! See what's showing, check showtimes and book tickets with Popcorn.